Former Best and Less CEO and marketer, Holly Kramer, has added a non-executive directorship at Woolworths to her growing suite of board positions. Kramer will join the supermarket giant’s board in the first-half of next year. She is also currently serving as a non-executive director of Nine Entertainment Corporation, Australia Post and AMP Limited. Kramer is best known for her work as CEO of apparel retailer, Best & Less, where she led a transformation of the business and helped return it to profitability. She was previously a group general manager at Pacific Brands, and also held several roles at Telstra including CMO and group MD of product development. Her appointment at Woolworths comes amid a tumultuous time for the supermarket group, as it seeks to reposition itself against an even-more competitive market. In May, the group detailed a three-year strategy to turnaround the business, focusing on data utilisation, product innovation, better customer service and value as key pillars for future growth. Last month, Woolworths’ decision to drop Qantas Frequent Flyer points from its new-look customer loyalty program raised the ire of several shoppers, who took to social media to make clear their disappointment about the decision. 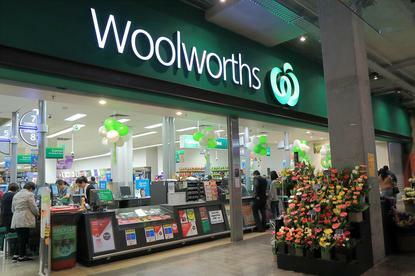 According to Woolworths’ financial report for first quarter sales to 4 October 2015, the group experienced a 2.5 per cent dip in total sales to $15.7bn, and saw a 0.4 per cent rise in Australia food and liquor sales to $11.06bn over the same period. In a statement, Woolworths CEO, Grant O’Brien, noted the FY16 would bear the impact of significant investments made into price, service and customer experience, resulting in lower margins. “We are encouraged that our investment Is being recognised by customers with a consistent improvement in key customer metrics like Net promoter Score since the beginning of this year,” he added in the statement.